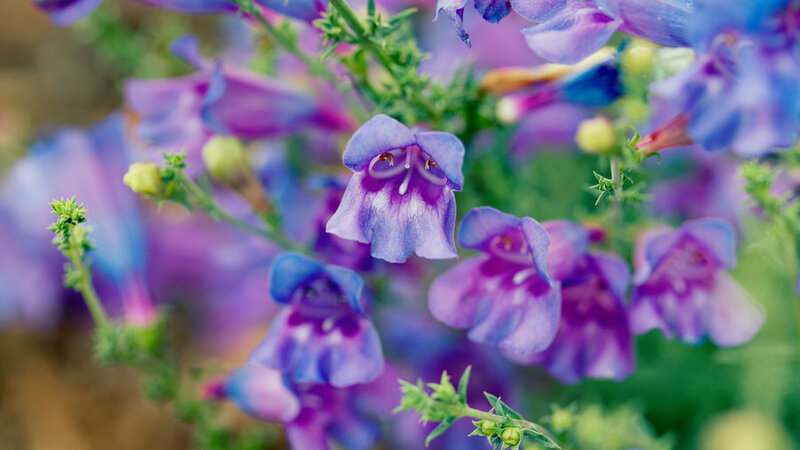 Must-haves for lightly shaded woodland gardens, these much-loved plants bear tiny but exquisite blue flowers in spring in mild climates. 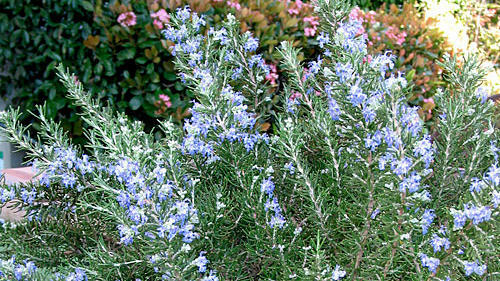 This rosemary stands out for its higher oil content and spicy flavor. 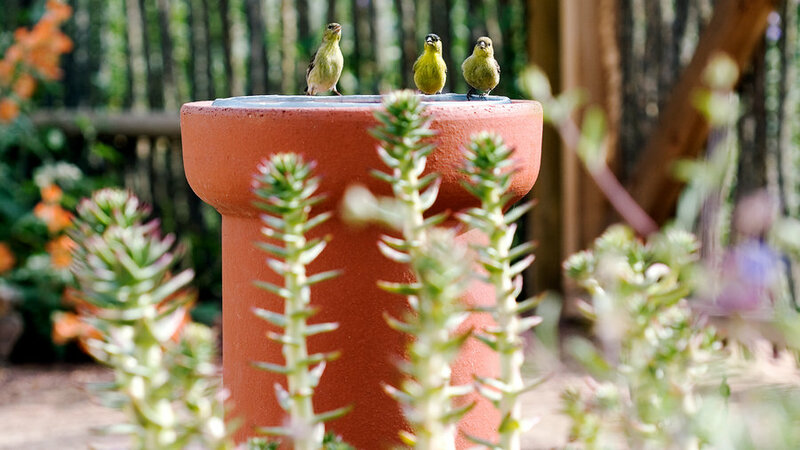 With a compact, mounding habit, this is a great choice for container, herb, and kitchen gardens. 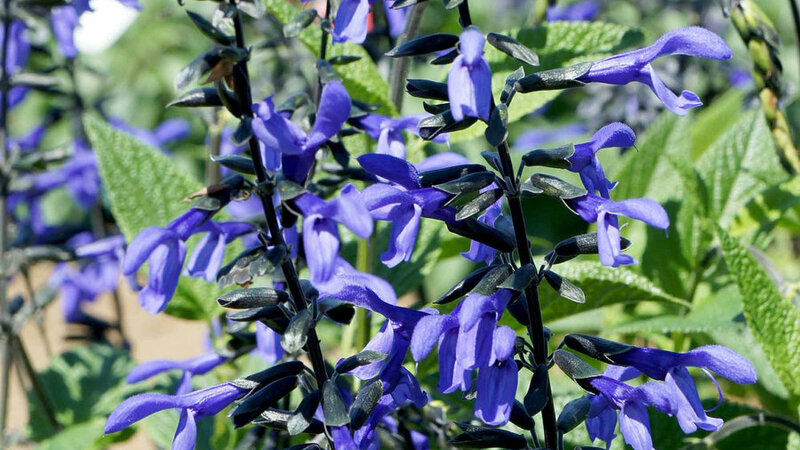 An earlier blooming salvia, this is a great option for the mid to back of borders, blooming heavily until frost. 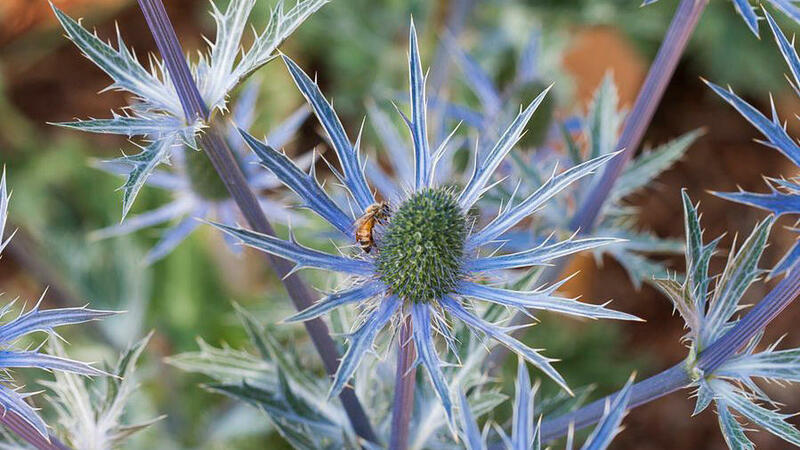 The sea holly has amethyst flower heads, surrounded by 2-inch silvery-blue bracts open atop tall stems in summer, emerging from a rosette of spiny, medium green leaves. The blooms make for a great addition to bouquets. 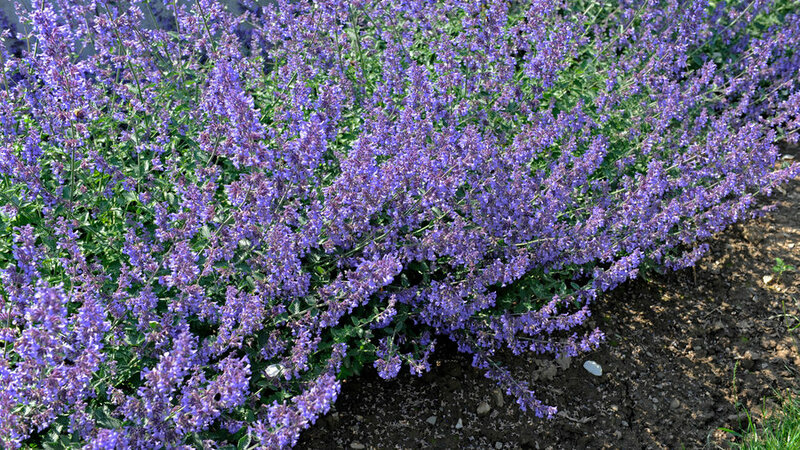 An evergreen shrub with lavender-blue flowers in early summer and gray-green leaves. These deep blue beauties have purple throats. 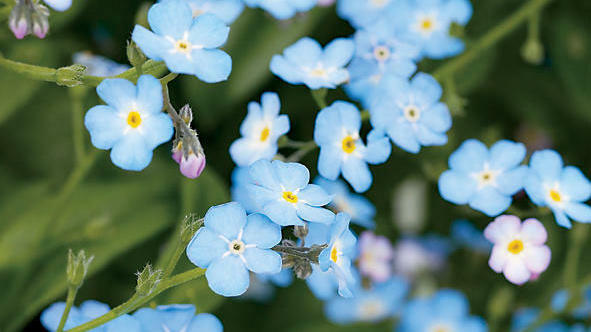 These plants are valuable for their spikes of two-lipped blue or blue-violet flowers.